National Public Radio News Investigations Correspondent and creator of NPR’s Abused and Betrayed series and author of No Pity: People with Disabilities Forging a New Civil Rights Movement. 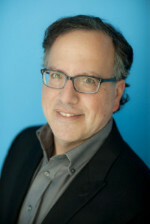 Joseph Shapiro has covered disability stories since 1987. He is the author of No Pity: People with Disabilities Forging a New Civil Rights Movement. Shapiro has been a witness to the disability rights movement and has chronicled some of its most dramatic moments and written about its biggest heroes. Shapiro will talk about disability history, play some of his radio pieces and talk about his reporting—including a recent ground-breaking series on the epidemic of sexual assault of people with intellectual disabilities—and share behind-the-scenes stories. Learn about disability rights history and current issues—the role of parents of children with disabilities, and the role of people with disabilities themselves. Hear stories of how people with disabilities and their families quietly made change for themselves—and how that change helps all Americans, especially as we age. Ask questions and be part of the dialogue. Lecture is free but registration required. Requests for accommodations must be made by November 20. Act 48 credits available. Permission for Social Work CEs has been requested.